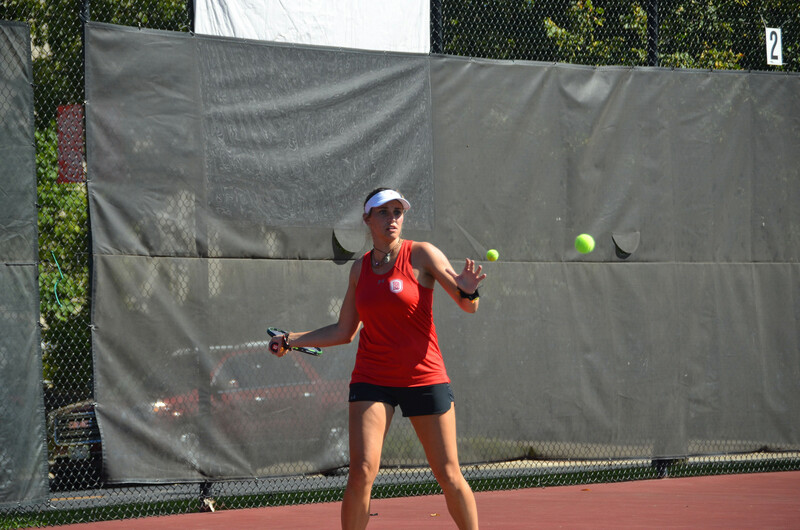 Freshman Nikki Perlwitz advanced to the Flight 5 Singles Championship in Springfield, MO. Photo by Kayla Johnson. The Bradley tennis team competed in the MVC Individual Championship from Oct. 5 – 8 in Springfield, Missouri and finished with two players in championship matches. Sophomore Sandra Maletin advanced to the Flight 1 Singles Championship on Sunday, falling 6-1, 6-2 against Valparaiso’s Jelena Vujanic, a 2018 MVC All-Select Team honoree. Freshman Nikki Perlwitz moved on to the Flight 5 Singles Championship only to be defeated 6-3, 6-1. 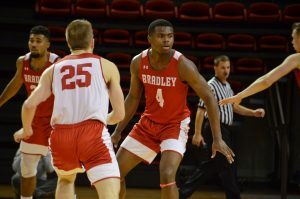 Head coach Matt Tyler said having a freshman and sophomore advance to the championship round was invigorating, but that it was disappointing no one could win a title. 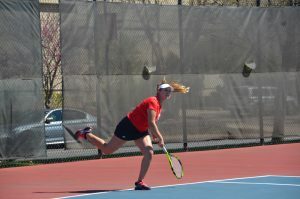 Aside from perceived shortcomings, Tyler noted the successes of senior Malini Wijesinghe and freshman Bozana Lojpur’s third-place doubles win and Lojpur’s third-place singles win. 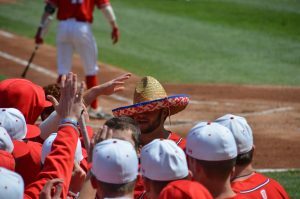 The quality of doubles play during the weekend made Tyler, who tends to emphasize the significance of doubles, optimistic for his team’s performance in the spring season. In the upcoming offseason, Tyler said he would continue to implement the team’s new conditioning plan. Tyler cited an example from this past weekend of the conditioning’s impact when Lojpur glided to her victory by physically dominating her opponent. The Braves will participate in the ITA Central Regional Championships today and until Monday in Iowa City.